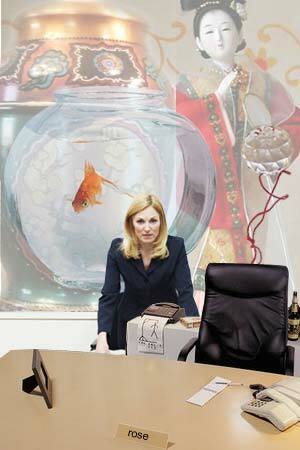 The core principles of Feng shui can be applied to the office environment too. In this article, we bring valuable tips on integrating feng shui principles for office environment. Find out how you can make simple changes to the design and layout of your office to make it better equipped with positive energy and sense of prosperity and well being. Read more about placing your office desk according to Feng shui as well as positive feng shui office layout. You need to create an office space that spells serenity and wealth. Many business houses have taken to incorporating Feng shui decorating rules on account of their simplicity and practical approach. The first rule of office feng shui is to get rid of clutter. Organize the paperwork and files to weed out those that are unwanted. Reducing clutter will create space for new opportunities and promote smooth flow of positive chi. Maintain well organized filing systems and storage cabinets. Records are a tangible indication of your business transactions. Treat them well. Try and occupy the corner farthest from the room entrance to wield a commanding position. Do not face away from the door. Place the computer in the Southeast if you use it to generate income. If possible, seat yourself with your back to a wall or corner. 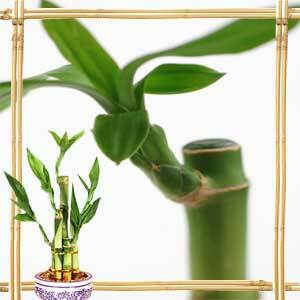 Leafy green plants such as jade, bamboo or money plant are considered auspicious for offices. Do not ignore maintenance issues and repair broken items or replace them soon. Too many wires and cables are representative of chaos. Secure them neatly behind furniture and allow the free flow of chi. The best location for an office is a corner where the entrance diagonally cuts across the corner. You can use mirrors and plants to correct any irregular room shape. Certain features such as pillars and columns may be a hindrance to the smooth flow of positive chi. Improper lighting also acts a barrier to effective work and positive energy. Use full-spectrum lights and supplemental lighting to light up the office space. Harsh lighting can cause eye fatigue while dim lighting can promote lethargy. It is beneficial to have a spacious reception area. If your office is located in an area with derelict buildings and closed business houses, it is not an auspicious sign for the prosperity of your office. Try not to locate your office at the end of a dead end road. Follow the same bagua principles of Feng Shui in the office layout too. Place the cash and financial documents in the wealth area of the office. If you work from a home office, separate the home office from the rest of the living space to keep your business and personal lives separate. Resort to screens or bookcases for partitioning. While flat ceilings are ideal for good flow of chi, you can use wind chimes and bamboo flutes when you have exposed beams or sloping ceilings. Use materials appropriately. Wooden furnishings can be used to represent the wood element while glass can represent earth. Stainless steel furniture is representative of metal energy. Introduce items of decoration to incorporate relevant feng shui colors. The wealth corner of your office can be decorated with red eggs or red envelope containing coins. You can place a picture or symbol of a red fish or bell. Desktop fountains and aquariums are popularly used in offices. A vibrant fountain can stimulate positive energy into your office cubicle and uplift your mood. Placing a potted plant beside your computer allows negative chi to be absorbed. Have a sparkling clean monitor. A computer monitor, especially if it is CRT (Cathode Ray Tube) type - the ones which are bulkier produce positive ions and as a result induce the dust to settle upon them. The modern TFT (Thin Film Transistor) - the slim monitors although run cool, still are prone to collecting dusts on their screen. So it is a good idea to wipe the screen with a soft cloth at the start of the day. A cleaner computer monitor screen is a less of an eye strain. Remove virus from your computer systems and have a screen saver that is pleasant - landscapes, flowers and positive images. Delete old emails and files. Keep the clutter off your desktop. Incorporate office furniture that is sturdy and ergonomical. Allow individuals to add personal items on their desks. Do not seat people with their backs to one another. Use prosperity gold coins, prosperity gem trees and three legged toad with coin in mouth for office decoration to herald good fortune and continual growth. Beautiful items can attract positive chi. A small rug of deep blue or dark colors can do wonders for your office. Ensure that the office is a good balance of yin and yang. How and where you position your office desk is an important decision if you are following Feng shui principles. To gain a commanding position, place your office desk farthest from the entry door. You can sit with your back to a wall but avoid sitting with your back to windows or doors. According to Feng shui, the office desk must never have the back facing the main entrance. Placing work luck elements such as a crystal paperweight or small green plant can attract positive energy towards your desk. First Published Date: 13 Sep 2006 Last modified Date: April 23 2019 This page may have been updated recently as new information is available or the content may have been edited for better readability.